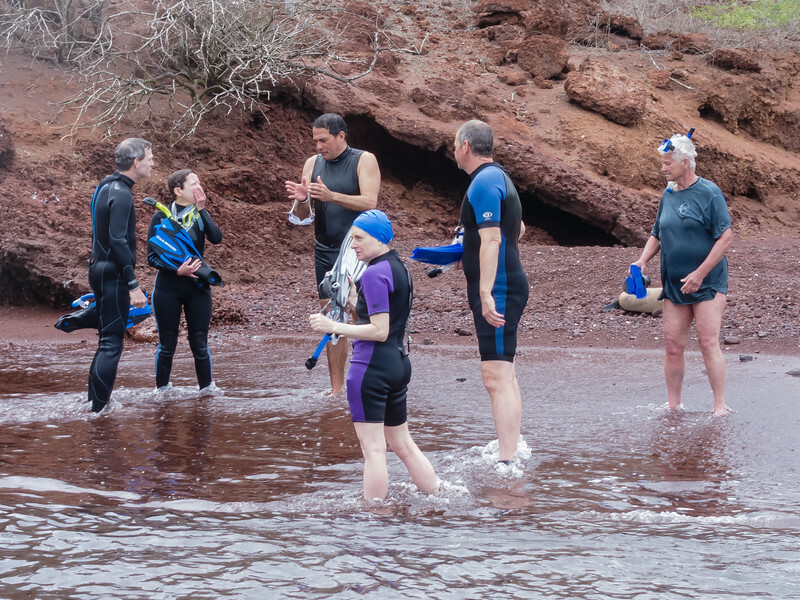 Some of our group get out of the water on Red Beach after snorkeling at Rábida Island in the Galapagos. Left-to-right: Even, Julia, Fernando, Karen, Larry and Carol. Fernando, our guide and a triathlete swims without a wet suit. Among the guests, only Carol also swims without a wet suit.